UPDATE: Four people have been injured in a crash on State Highway 5, in the Rotorua area. 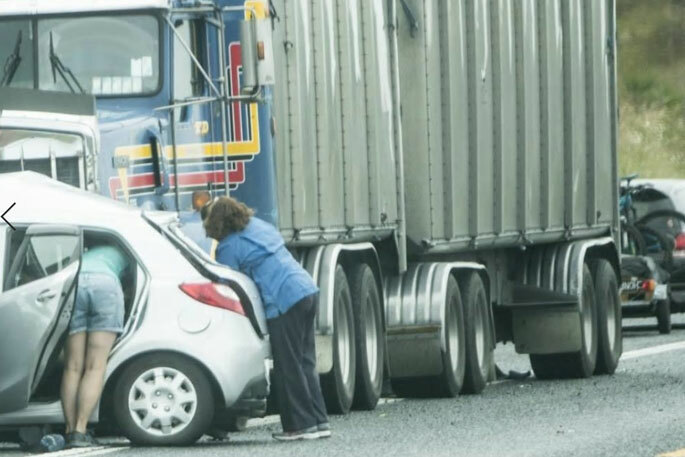 The collision between a car and a truck happened just before 2pm near Oturoa Road. A police spokesperson says the four injured were in the car. "Two have serious to critical injuries, one is seriously injured and the fourth person has moderate injuries. "Helicopters are at the scene to transport patients to hospital." Diversions remain in place at Dansey Road and Maraeora Road, and motorists are asked to avoid travelling in the area if possible. A number of people have serious injuries after a truck and a car collided on State Highway 5 at Hamurana, Rotorua. It happened at the intersection with Oturoa Road just before 2pm. There are diversions in place at Dansey Road and Maraeroa Road, and motorists are asked to avoid the area if possible, says a police spokeperson. "More information will be released when it is available."